Jobsite #35, Clark Lane, State of Florida Master Site File : FL 000819, Scheduled Completion Date: April 17, 1972. 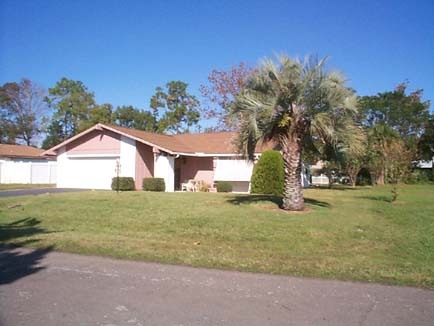 The above picture shows what we refer to as an 'Island' grouping of the 1st Neighborhood Core Homes in Palm Coast. 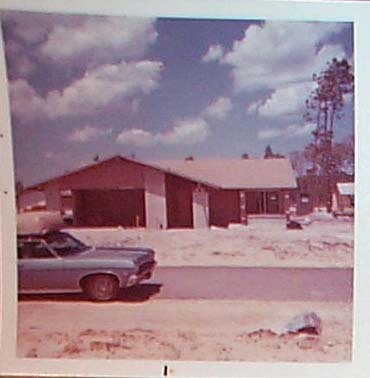 The Palm Coast Golf Course, later know as the Palm Harbor Golf Course surrounds these homes. To our knowledge this Golf Course was the first Golf Course in Palm Coast, Flagler County. The Orange Arrow shows Clubhouse Drive. Upper right quadrant is the Atlantic Ocean. The flattish yellowish land is the location of the at then, undeveloped, Canal Property. The Canal Properties were Premium and priced accordingly as were the Golf Course Premium Lots. 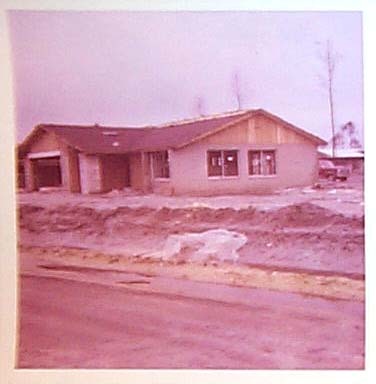 Partial View of 1st Neighborhood Core Island of Homes. A. 13 Clark Lane, B. 1st Child's and Neighborhood Park on Cooper Lane, C. To the Left, Exhibit area Parking, Exhibit Area, & Welcome Center. Top of JPEG - All the Canal Lots awaiting development. 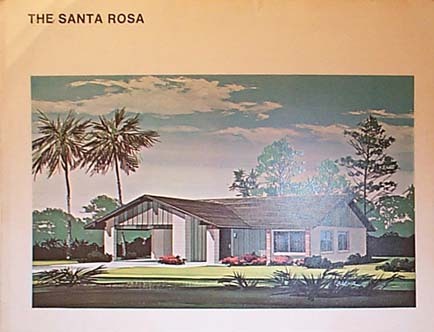 Another Architects rendering of the Santa Rosa Model. We were pleased to see that it included Bahama Shutters in this rendering. Since we planned on adding Bahama Shutters this confirmed the look; consequently ordering all our Bahama Shutters and had them imported from the Willard Shutter Company in Miami. It maintains 'Architectural Harmony' with the adjoining homes as perceived by the Developers Intent. The contemporary 'safari' design of the Santa Rosa gives you a preview of the kind of life you can expect to lead at Palm Coast. 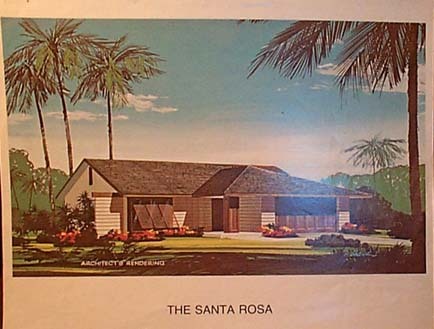 The Santa Rosa offers you central air conditioning, two bedrooms, two baths, a large kitchen and a family area, plus a dining room, a living room, a combination carport and service area. Cedar roof shingles are optional at extra charge, but stucco finish and a full line of General Electric appliances such as, washer, dryer, stove, refrigerator, and dishwasher are included in the base price. The Santa Rosa offers you a spacious living area, convenience and style, all you need to enjoy a new way of life at Palm Coast. A. Master Bedroom, 15'-10" x 12'-2"
B. Kitchen, 10'4" x 10'10"
C. Bedroom, 11'6" x 9' x 10"
D. Family Area Room, 10'6" x 12' 2"
E. Dining room, 10'6" x 9' 10"
F. Living Room, 16'4" x 12'6"
G. Carport, 10'8" x 18'4"
14. Water Heater, 15. Washer, 16. Dryer, 17. Entry. JPEG taken from Tour Van of the foundation of 13 Clark Lane. This was Jobsite # 35. ( documentation upon request ). Initially this area was a designated construction site so it was first viewed only by the Developers' 9 Passenger White , later Blue , Vans used for 'Touring'. 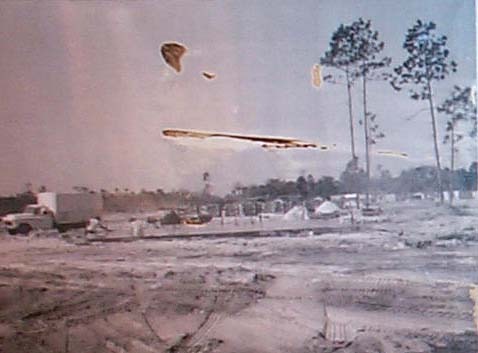 Note the first homes on Casper Drive in the background at various stages of construction. Once the C.O. 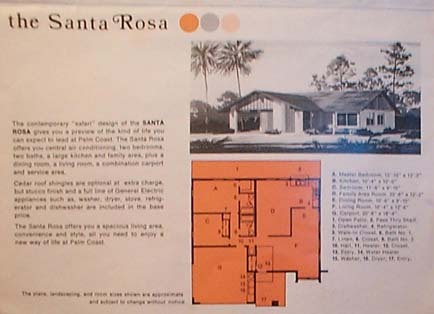 's were offered for these first homes in Palm Coast, the area was then opened to the public. The Vans entered via Casper Drive and circled in and around Cooper Ln., Clark Ln. , Collins Ln., Cerrudo Ln. 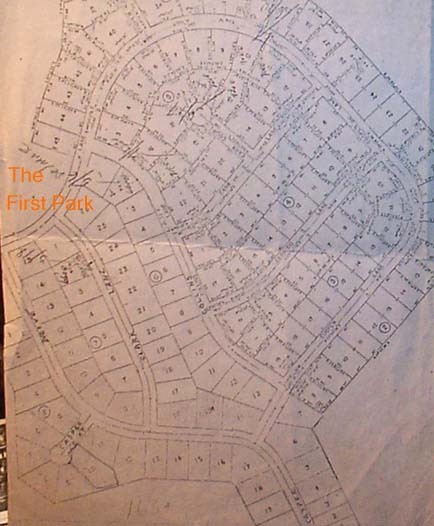 , Carr Ln., Casper Ct., Cooper Ct., and Carr Ct. On Cooper Lane they passed the very first Child's and Neighborhood Park ( The very First Childs' and Neighborhood Park indicated in the Orange 'B" in the uppermost Aerial View Photo. The White, later Blue, 9 Passenger Tour Vans also looped around the 19th Hole when that was almost completed via an extension of Cooper Lane. 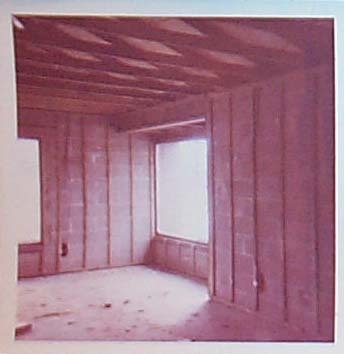 13 Clark Lane, Left Hand Side View During Construction. Jobsite #35, 13 Clark Lane, Left Side View during Construction - Shingled. 13 Clark Lane, Left Hand Side View, 2008. 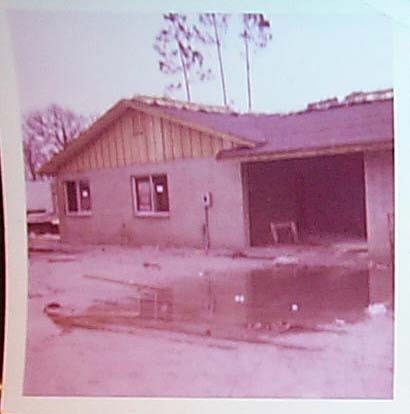 13 Clark Lane, Front View During Construction. 13 Clark Lane, ' The Grand Lady ', Front View, 2008. 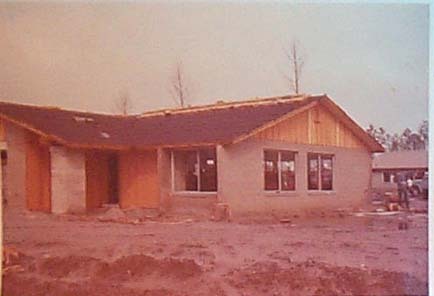 13 Clark Lane, Right Hand Side View, Under Construction. Please note the construction behind on Casper Drive at 28 Casper Drive. 13 Clark Lane, Right Hand Side View, 2008. 13 Clark Lane, Right hand Side View Total, Under Construction. Please note the construction behind on Casper Drive. 13 Clark Lane, Right hand side view total, 2008. The Formal Dining Room of ' The Grand Lady '. During Construction. 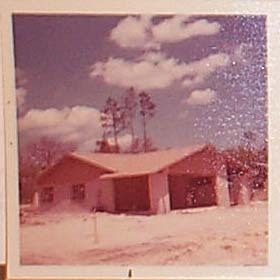 Please note Ashleys Park through the first window - the very first Child's and Neighborhood Park in Palm Coast; and also 15 Clark Lane under Construction. We paid a High Premium Price to be adjacent to 'Ashleys' Park' ( we also call it Democracy Park sometimes ) and to be within the Palm Coast Golf Course a.k.a. the Palm Harbor Golf Course; also the Driving Range, the 19th Hole and Pro Shop; and the premium of being able to own your own Golf Cart, the proximity to the Swim and Tennis Club, the Main Canal, and the first Public Boat Ramp. The Kitchen of ' The Grand Lady '. 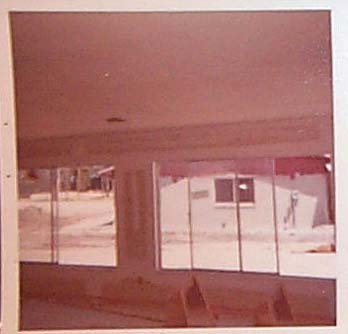 during construction. The closing costs charged by the lender will be two percent of the mortgage. This charge is for the bank's expenses for documentary stamps, intangible tax, recording fees, lender's attorney, etc. You will receive a closing statement from the lender in regard to these costs and any interest that is due from closing date to the date covered by the first mortgage payment. 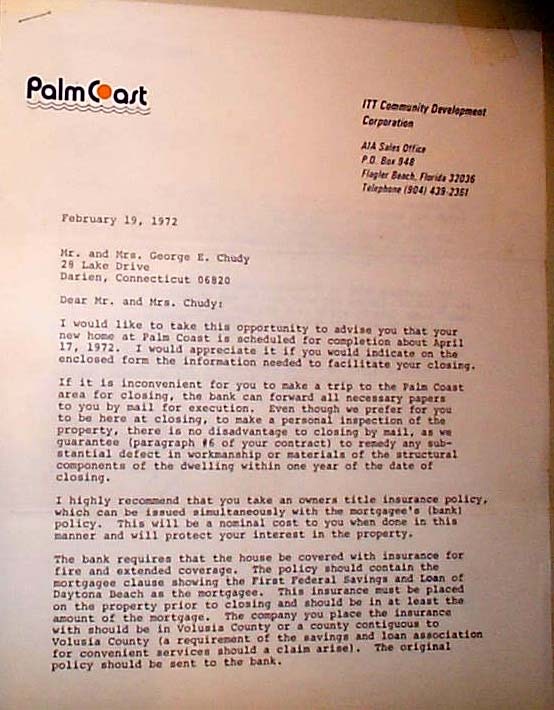 As we do not yet know the tax assessment on your property for 1972, we will refund to you at the time the actual tax bills are received ( November, 1972) our pro rata share of your annual real estate taxes between January 1, 1972 and the date of closing indicated on your contract. 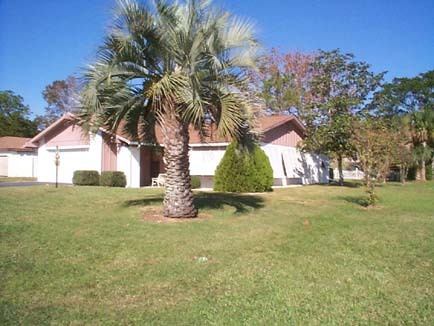 I will be looking forward to having you as neighbors here at Palm Coast. If there is anything we can do prior to your arrival please do not hesitate to contact us. 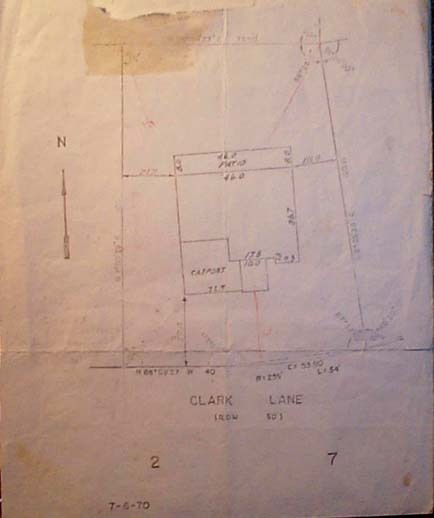 Survey Sheet for 13 Clark Lane. 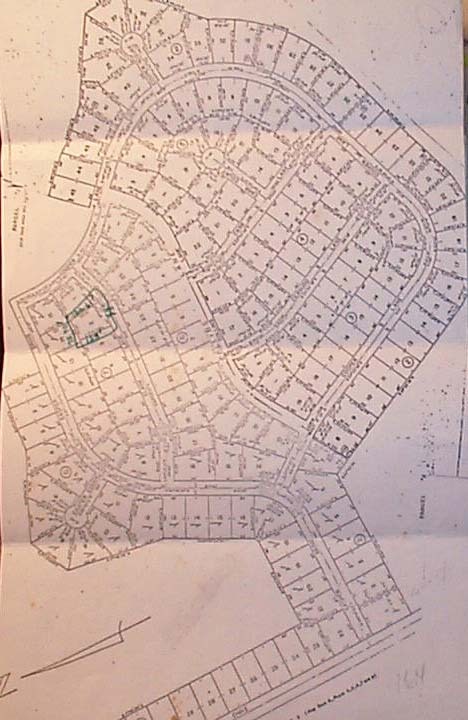 Platt plan detail in Palm Harbor, more specifically Country Club Cove (First Neighborhood of Core Homes) indicating the location of Clark Lane. 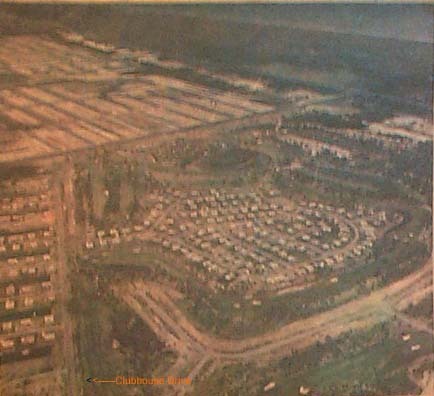 Extreme left, middle left, Cooper Lane was extended to the left to go to the First Golf Course in Palm Coast, Flagler County. First named Palm Coast Golf Club; later renamed and redesigned and then became known as the Palm Harbor Golf Course. 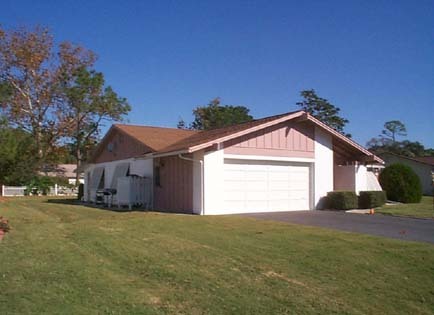 On Cooper Lane, is the location of the very First Child's and Neighborhood Park in Palm Coast. Sheet presented us indicating the price of $ 6,600.00. This Price was a very high Premium Price at that time. We bought it because we are golfers and residents here in Country Club Cove could use our own Golf Cart. Also, because of it proximity to the very very First Child's and Neighborhood Park, Palm Coast Swim Club, the Tennis Courts, the public Boat Landing, and the Main Canal. 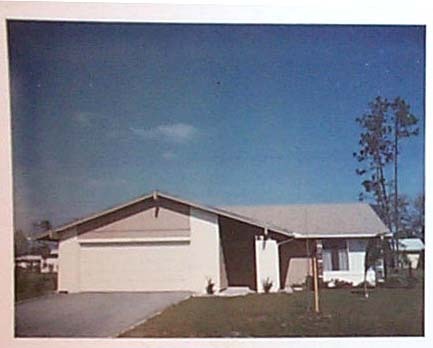 That was the premium offered for this first Neighborhood of Palm Coast "Pioneer' Residents. You could drive around in and own your own Golf Cart for the Golf Course Golf Clubhouse and the Driving Range; and there was that gorgeous very first Childs' and Neighborhood Park there, almost adjacent, the Contemporary Clubhouse, ( Concrete, Block, Stucco) directy adjacent to that the beautiful Putting Green, and directly adjacent to that the 'Boat to Golf' Dock, for coming to the area via your Boat, or for Fishing and R&R. 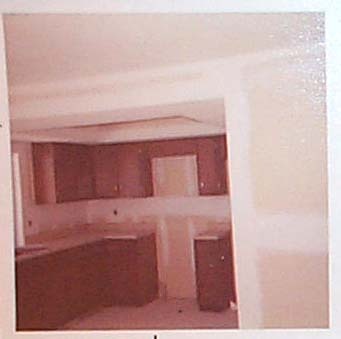 The specific location was show each Prospective Buyer for each of the above. 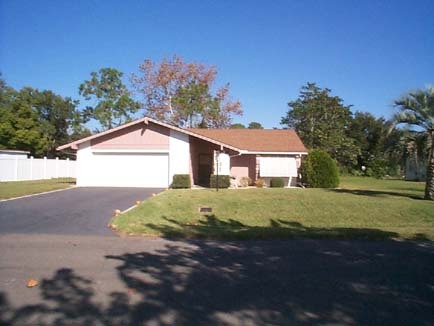 Lots first offered in Palm Coast were either 'Standard' or 'Premium' and priced accordingly - obviously priced according to 'Location'. 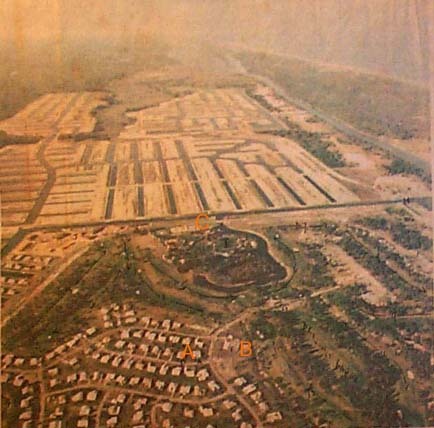 Premium Lots were either Golf Course Premium or Canal Premium and basic 'Standard' Lots.